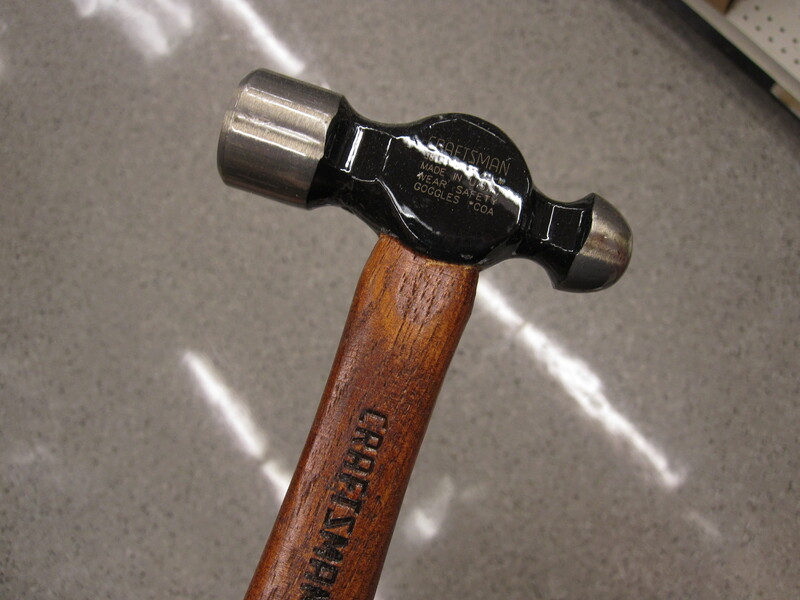 Today’s Toolbox post tackles one of the most important tools we can have in our home toolbox: a hammer. To make sense of all of the choices, we’re first going to look at how a hammer works. 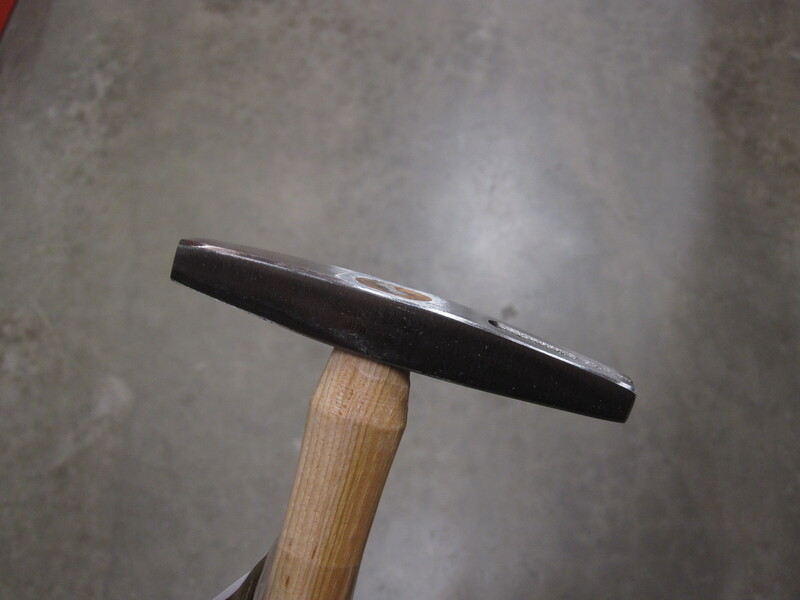 The striking surface is the round area on the head of the hammer that hits the nail directly. 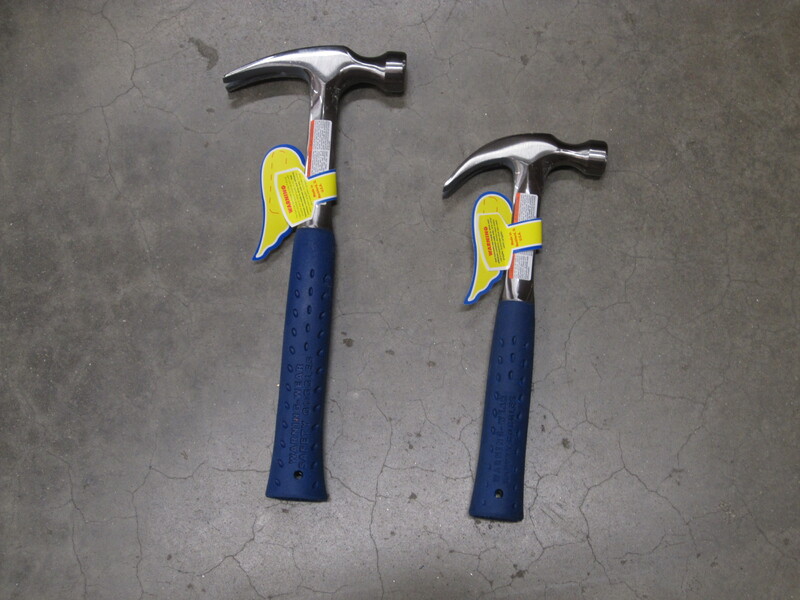 Some hammers, for other specific jobs, have textured or differently shaped striking surfaced. 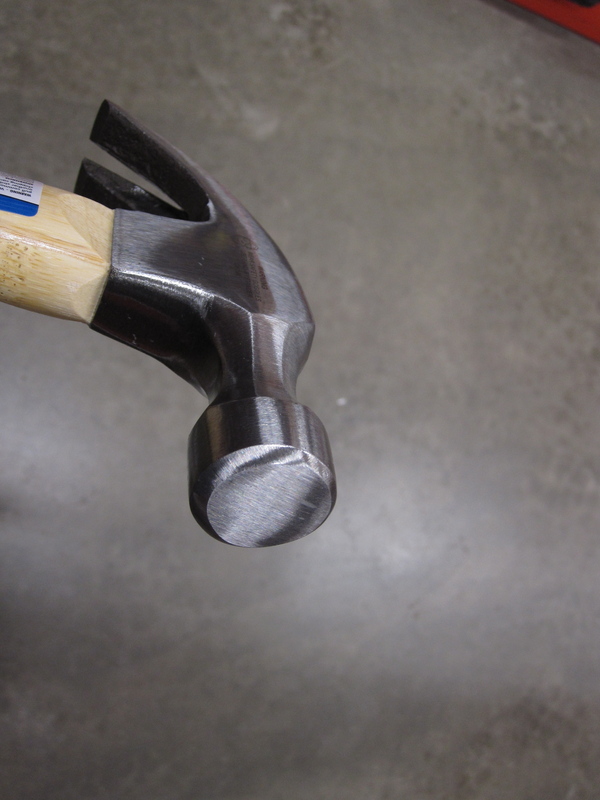 For basic home repairs, we want a smooth, clean and round hammer head so that it connects firmly with a nail. 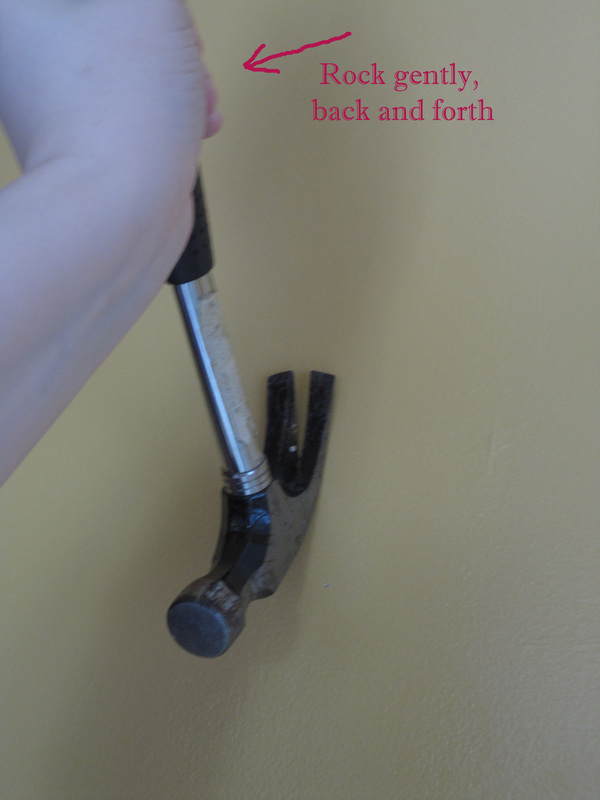 …and then, gently rock the handle back and forth, away from and towards the wall, as the claw lifts the nail out. 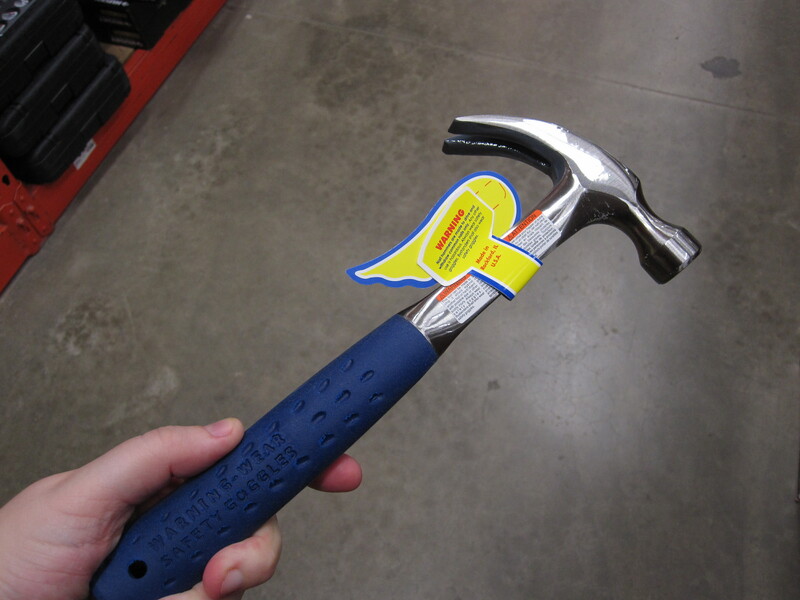 Finally, a good hammer must have a good a sturdy handle. 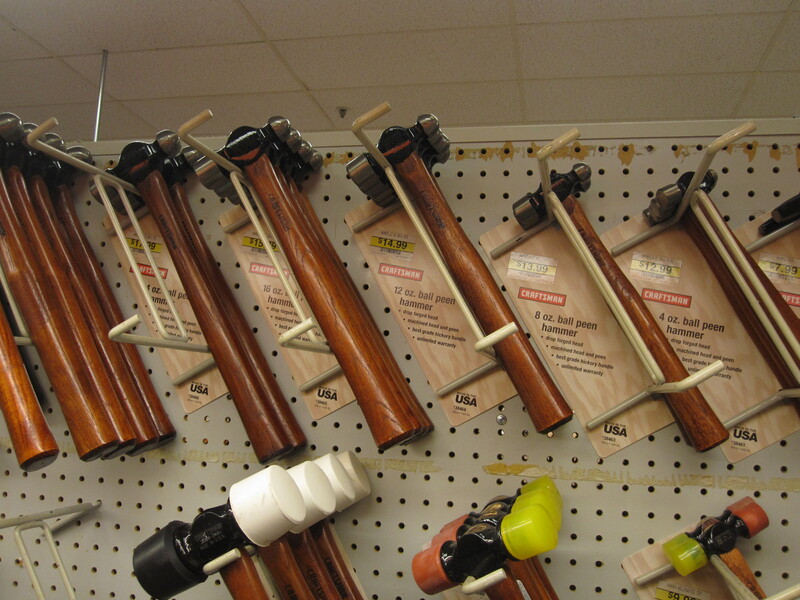 It can be wood or metal, with or without a rubber grip, but it must fit nicely in your hand. This is essential to using a hammer well and getting the most from the torque. All done reading? Then let’s go to the store and pick out a hammer! 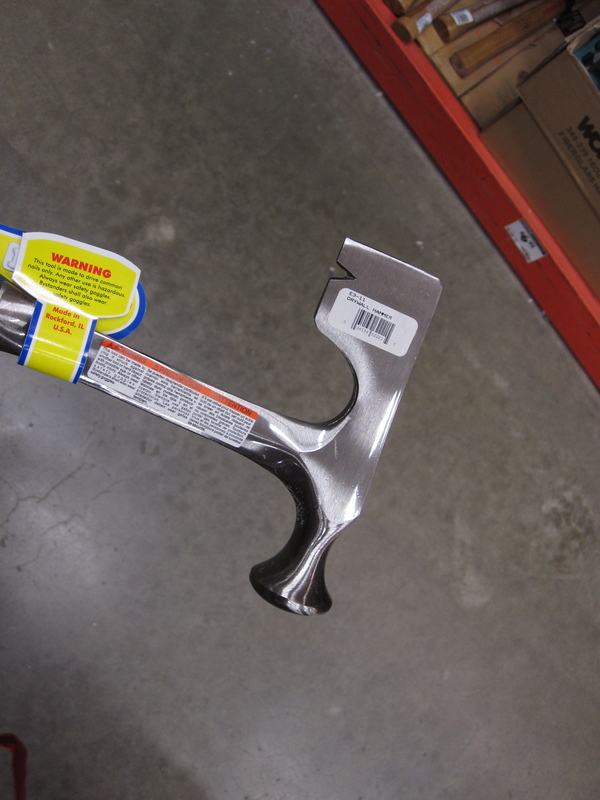 This is a tack hammer. 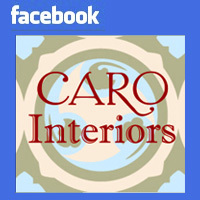 It is used for putting short tacks down into things, such as carpet. Tacks are short and have big nail heads on them, so the hammer head has been re-shaped to give the most effective delivery of the torque to the tack. The claw (on the top right of the hammer head picture above) has also been re-shaped to fit the unique shape of the tacks themselves. 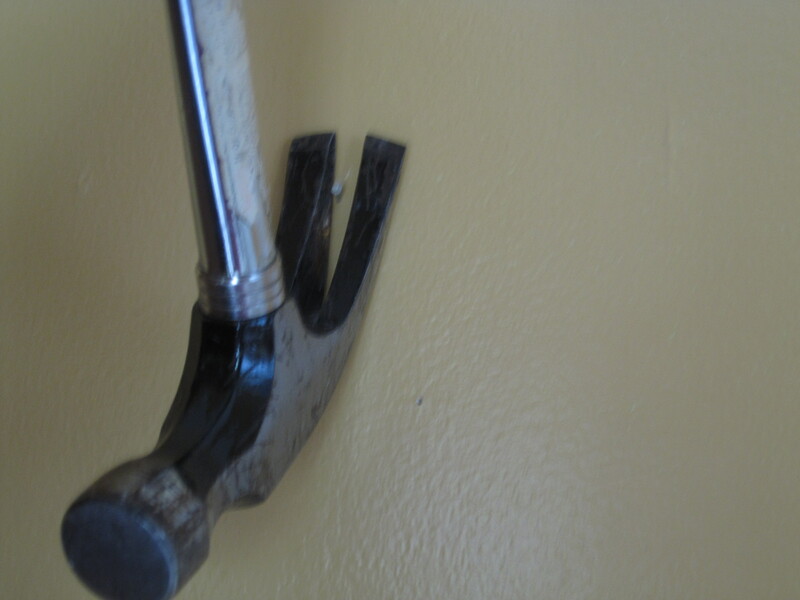 This is a drywall hammer, used to nail the drywall to the wood studs before the seams/joints of the drywall are covered over with heavy paste known as joint compound. This is a roofing hammer. The striking surface is textured and the claw has once again been re-shaped to allow it to reach up under roof shingles. 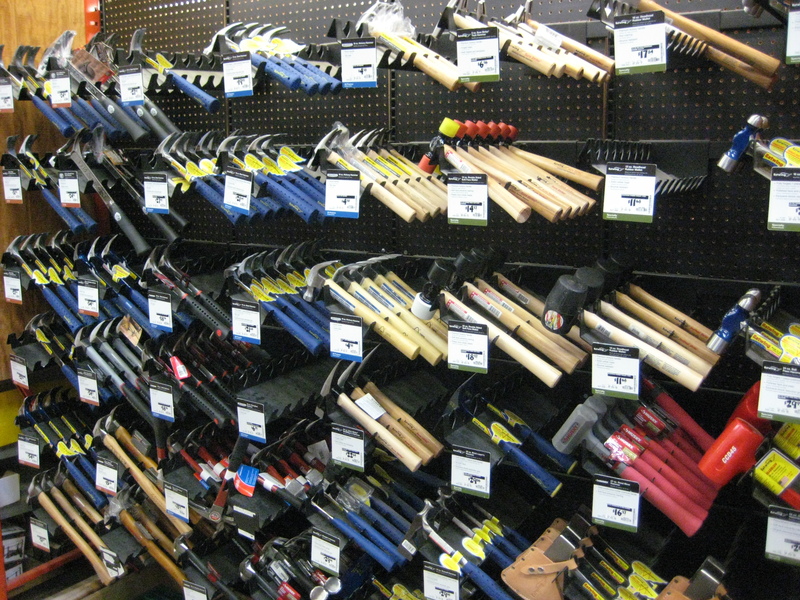 While you are browsing hammers, you may also find a large selection of “ball peen” hammers. 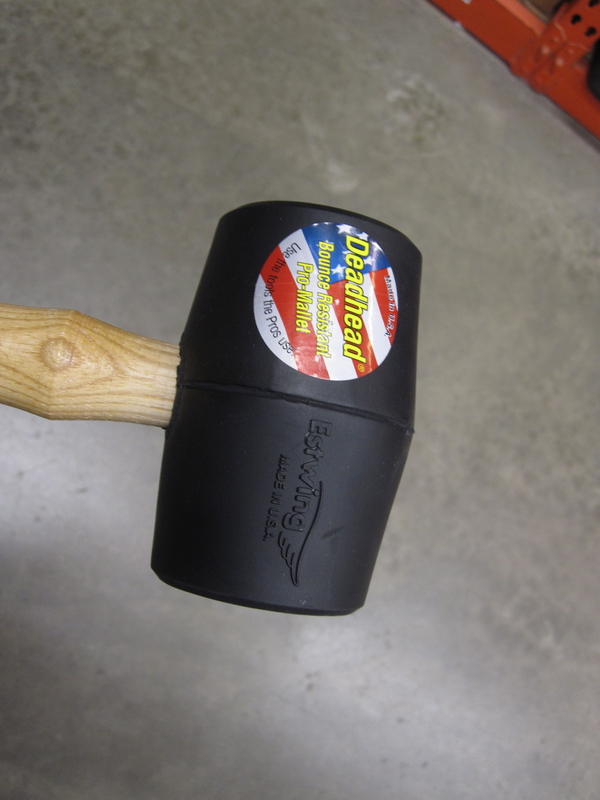 It’s a rubber mallet. It can been used for any project where you want some striking force, but worry about damaging the surface of whatever you’re striking. For example, an installer might use a rubber mallet to tap a new countertop into place right up against a wall, without risking a dent/crack in a wood/stone surface. Do not get sucked in by the marketing. I’m all for Greener Living, but a tool needs to do its job properly or we shouldn’t waste our money buying it. This tool does not meet the three criteria we discussed above. Swing the hammer around to see what I mean. The handle also absorbs a lot of the shock of the striking action. A light wood, like bamboo, could split easily after just a little use. This is a great way to have a hammer head drop off onto your foot. 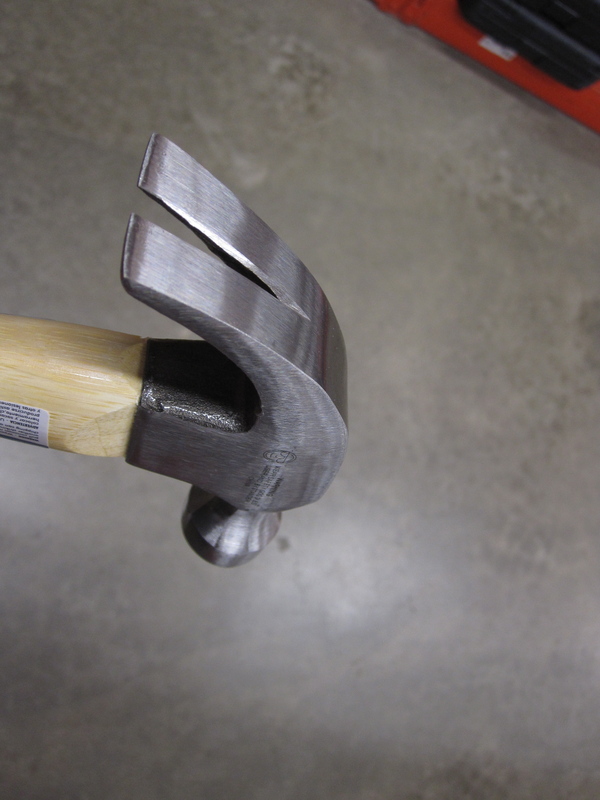 If you choose a wood handled hammer, it should be made of a hard wood and it should balance nicely in your hand when you swing it. 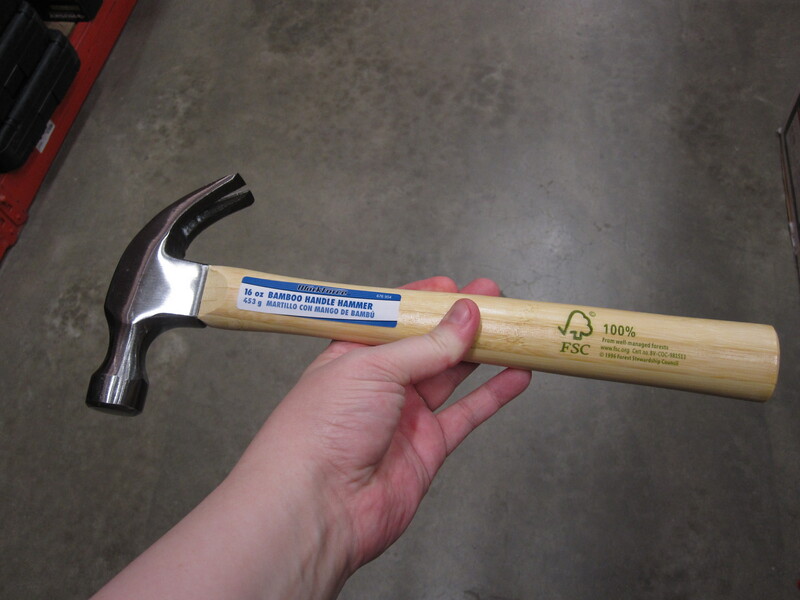 This hammer comes in a 12 inch size and a 16 inch size. 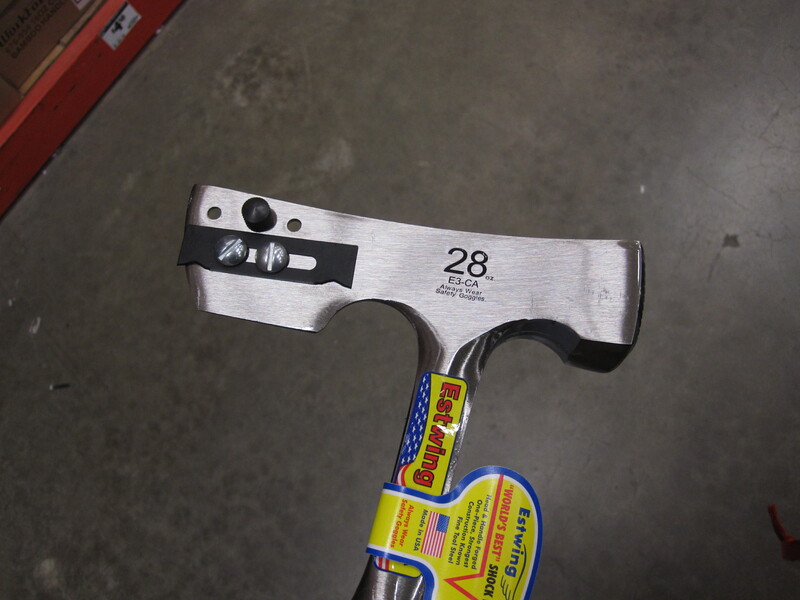 Since we know that the handle of the hammer is what does the real work of the job, I would recommend the 16 inch hammer. That should cover you for just about any DIY, decor or home maintenance project. As in all things for our home, we should choose the smartest, most practical and budget-savvy tools. A good hammer can last you a lifetime. So tell me, what are you going to use this knowledge for? Are you planning to hang some pictures? Do you have a little DIY project you’ve been wanting to try? Share your ideas and plans in a comment! There are more Toolbox posts in the works, but you can also leave me an idea for tools you want to learn more about…just leave a comment! Posted on August 16, 2011, in Toolbox. Bookmark the permalink. 2 Comments. Thanks for the hammer info. I understand now why my husband points me to differnet hammers for different jobs. I’m looking forward to future toolbox posts. I have a lighter, thinner hammer that came with a toolbox set that I got for Christmas when I got my own apartment. It’s cute and it fits in the box. I can use it to hand pictures, but I don’t really do anything heavy duty. I did look up your “Hammer Time” post and it helped me to get a little more “torque” out of my little hammer. If I do get a new hammer (or a new toolbox) I will definitely look at a bigger hammer. I like the 12″ metal one with the rubber grip. I don’t know if I’ll be hammering in nails, I prefer using screws when I can, but it will definitely be easier to use the claw to get nails out of things. My little hammer isn’t very good for that.